ROME (CNS) — Migrants rescued from the Mediterranean were taken to shore in Malta Jan. 9 after being kept at sea while European nations argued over who was responsible for them. Pope Francis had issued a public plea Jan. 6 for European governments to demonstrate “concrete solidarity” with the 32 migrants rescued Dec. 22 and 17 others rescued Dec. 29. The 49 people, including several children, were rescued by boats operated by the Germany-based Sea-Watch humanitarian organization. Italy refused to allow the boats to dock or to transfer the migrants to an Italian military ship, and the humanitarian organization refused to hand the migrants over to the coast guard of Libya, where they had boarded boats hoping to reach Europe. 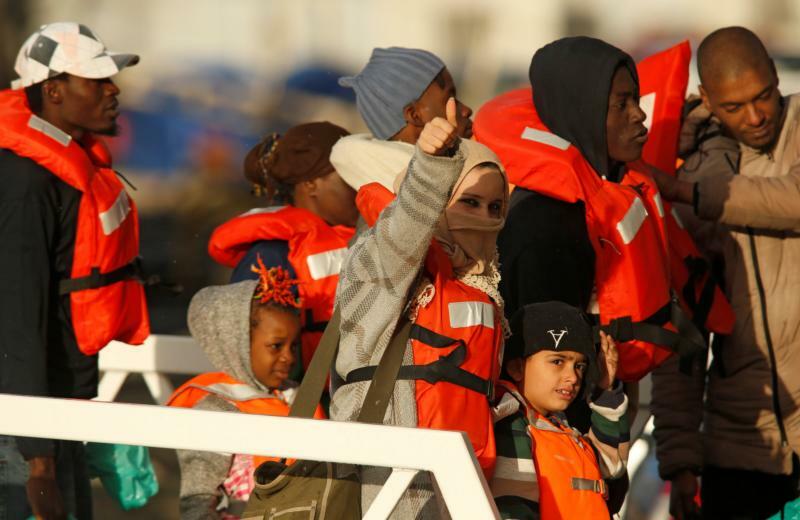 An agreement, he said, had been reached with eight other European countries to relocate the 49 migrants rescued by Sea-Watch and 131 of those rescued by Malta. The countries accepting migrants, he said, are: Germany, France, Portugal, Ireland, Romania, Luxembourg, the Netherlands and Italy. However, while Italian Prime Minister Giuseppe Conte said Italy would accept some of the migrants, Matteo Salvini, the country’s deputy minister and minister of the interior, insisted that would not happen.